Behind every great trail run is a well-stocked rucksack. Here's MR advice on packing it in! Do you remember that scene from Rambo, the one where he stops running through the jungle, begins searching through his rucksack then takes selfies during an extended break? No, of course you don’t. That’s not how Rambo rolled. 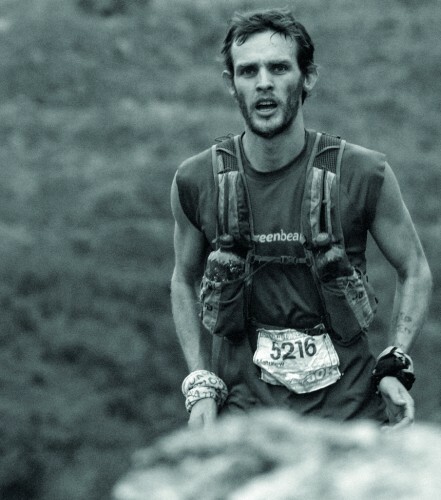 While trail running isn’t much like fighting in Hollywood Vietnam, the similar need for easily accessible kit, uninterrupted movement and obligatory use of headbands shouldn’t be underplayed. With a nod to military efficiency and time-saving techniques, we’re taking a look at rucksacks: from sizing, to packing, to nutrition. And if you still insist on keeping that phone handy, we’ll tell you how to stash that like a pro too. When do you need a rucksack? If you’re running for less than 15 miles, or two and a half hours, you probably won’t need a pack. Stash your phone, a few snacks, house keys and a windproof jacket in the pockets of a decent pair of trail running shorts or a seam-free cycling top. Beyond that and you’re into long-run territory. On hot days you will require lots of fluid. On cold days you will require extra clothing. This extra bulk is best stored as close to your centre of gravity as possible, ideally in a backpack. showers, the run-commute has become more realistic. Arriving at your desk drenched in sweat, however, will never be socially acceptable. Best come prepared with a towel and change of clothes. Remote runs or mountainous terrain will always require a pack. Even if your intended outing isn’t that long in time or distance, a twisted ankle will mean a slow, cold hobble back to civilisation. Don’t let this stop you heading out alone. Just be prepared with the appropriate kit. You might also want a pack on a shorter run. As employers provide more staff showers, the run-commute has become more realistic. Arriving at your desk drenched in sweat, however, will never be socially acceptable. Best come prepared with a towel and change of clothes. Size does matter: when it comes to backpacks, the smaller the better. A five to 12-litre capacity will be large enough for any day-trip. Any bigger and the bag will swing from side to side as you run due to the unused space. Worse still, you will fill it with unnecessary weight. If planning a more adventurous trip requiring overnight gear, you’ll need 25-30L. Backpacks are best tried on. Ask for it to be filled to capacity in the shop, because straps on an empty trail rucksack seem misleadingly slack. More adjustment points make a snugger, rub-free fit. Everything needed for the duration of your anticipated run should be accessible without taking the rucksack off. Only your emergency items should be inside the zipped section of the bag. Watch out for useless side or rear rucksack pockets only accessible to contortionists. If you have found time to go on a long run needing a rucksack, spare an extra moment to check the weather forecast. A run in winter doesn’t need extra layers if you’re close to home and the weather’s fine and warm. A run in summer on exposed mountain-tops with a forecast of rain and wind will require: a hooded waterproof jacket and trousers, synthetic warm layer, mobile phone, gloves, hat, first-aid kit, whistle, survival bag and headtorch. If you are running long enough to need a rucksack, you will need to eat before you finish. Getting food in well before the hollow, hungry feeling takes over is key. Forcing in half a banana or a handful of nuts in the first 30 minutes will prep your stomach for steady intake throughout the run. If the food you plan to eat is prioritised in easily accessible pockets you are much more likely to nibble at it. Mixing up your nutrition is also key. A strategy of nine energy gels for a three-hour run might hit your calorie requirement, but it’s an expensive choice likely to lead to flavour fatigue and failure to eat when required. Much better to mix it up with some high- calorie savoury foods like roasted and salted almonds, oat cakes or cereal bars. During a race you can save weight in your pack – and considerable personal expense – by refilling a portable zip-lock bag with enough food to last you to the next aid station.